Visions : Thought For The Week : As the final Week of March and Q1 2014 is Before Us....A Sense of Spirit!!! Thought For The Week : As the final Week of March and Q1 2014 is Before Us....A Sense of Spirit!!! Anything is possible so beat the odds and do your thing. The "Nothing is Impossible" wristband inspires you to go after your dream and aspirations. It is designed to encourage and inspire. It's a great accessory to wear any time of the year. 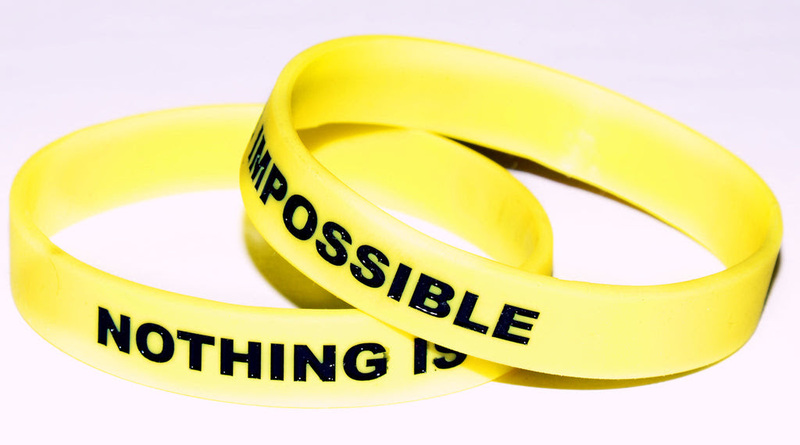 Instila Inspirational Wristbands helps everyone around you remember that nothing is impossible if they try.